What I'm about to tell you is 100 percent for real: Usher just released a new song called "Clueless" that is only available through the purchase of specially marked boxes of Honey Nut Cheerios at Walmart. I repeat: Usher's music has been relegated to the "prize" at the bottom of cereal boxes in the United States. What gives? Apparently, Usher's partnership with food giant General Mills began back in August when he filmed a Honey Nut Cheerios commercial in which he sort of dance battles that annoying cartoon bee. So, I guess that giving away his music in grocery stores nationwide was just the next logical step? Or something? I have to be honest, I'm really struggling to understand the reasoning behind what's going on here. 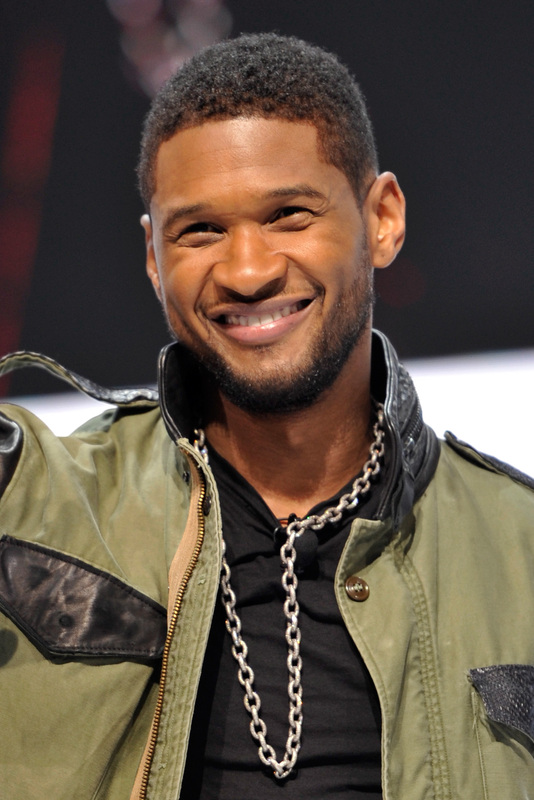 In September, Usher announced that his new album, UR , had been pushed back indefinitely (it was originally scheduled for a 2014 release). Though the 36-year-old entertainer assured Billboard that he was merely "taking his time," I suspect that the poor commercial performance of the project's two singles, "Good Kisser" and "She Came to Give It to You," had something to do with the decision, as well. Given that the UR campaign got off to a bit of a rocky start, it makes sense that Usher may have wanted to try something new as far as marketing and promotion are concerned — but is cereal the answer to his problems? I don't think so. This is a confusing collaboration that doesn't seem at all consistent with Usher's brand. What age group typically gets excited about cereal freebies? Little kids! They're definitely not Usher's target audience, that's for sure. Yes, in the past, bands like the Backstreet Boys and N*SYNC have given the cereal thing a go, but I feel like they both appealed to a much younger demographic, so it was a little more appropriate. If Usher wants to get "back on track" before releasing UR, I think he would do well to just return to the studio and record some more radio-friendly material. It's as simple as that. To make matters even more perplexing, a General Mills rep told MTV that "Clueless" is an exclusive song that won't even appear on UR. So, again, I ask: What is the point of all of this? I guess I just don't get it.